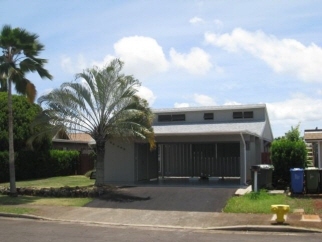 Single Level Home Located In The Heart Of Mililani. The Exceptionally Large Covered Back Patio Is Sure To Become A Family Entertainment And Bbq Area. There Is A Loft Above The Master Bedroom That Is Great For Storage/Office Or Kids Indoor Fort. Cathedral Style Ceiling In The Living And Entry Give The Feeling Of Added Space And Comfort. Easy To See By Appointment.